To better know why some online programs are classified as scams, we must first identify and understand what a scam is. To most people, a scam is generally anything that loses them money. Thought that is usually one of the end results of a scam, your own misfortune should not be the sole reason for giving a program such a negative connotation. A scam is a scheme designed to deceive a user into believing what they have to offer is legitimate, in order to unjustly attain the user’s confidential information for their own personal gain. For a scam to operate and thrive you must first buy into it, thus the personal information they can acquire from you range from credit card and bank account information to your home address and personal contact information. 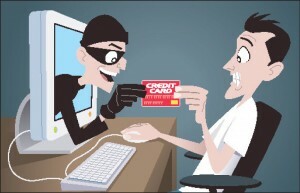 So, even though a scam is exposed, and is being shut down, your personal and financial information is still compromised. That is why it is so important to do your due diligence on any program that can potentially be a scam. Are There Different Types Of Scams? The best way to avoid these type of scams is to do your due diligence on anything that sounds too good to be true. Just always remember the common saying, “If it sounds too good to be true, then it probably is.” Now that doesn’t mean that everything that sounds too good to be true is a scam, but the majority are. The best place to check on the legitimacy of such potential scams is to research them yourself online. Look for educated reviews from competent people, not just anybody. Better yet, just come back here, ask me about whatever it is you’re questioning, I’ll investigate it, and give you all the answers you need. I’m a problem solver, and I’m here to help you.